Centred in academic theory in the area of exhibiting culture, this book seeks to explore the art and politics of cultural representation. While thus far this discussion has been restricted to the closed spaces of museums, exhibitions, cultural festivals and the like, here, this densely interdisciplinary problematic is approached through the unique and increasingly popular medium of Heritage Walks. Focusing on the idea of the living exhibit, the author employs her decades-long career in the field of academic cultural tourism and the performing arts to develop a uniquely critical frame and methodology for engaging with cultures in a dynamic and performative manner. 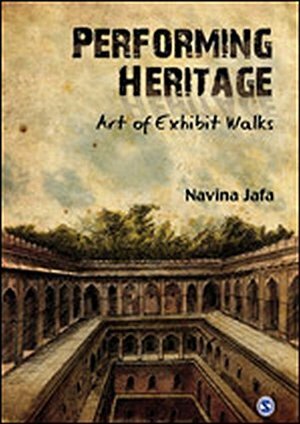 The book argues that heritage walks are necessarily creative and academically invested, and can be an effective medium for rethinking the disciplines of history, sociology and conservation and the challenges they face in contemporary post-colonial India. Through an acutely experiential account, the author bridges the gap between applied and academic theory in the fields of visual anthropology, museology, heritage conservation and cultural studies among others, providing the much needed scholarship in studies of living heritage.